Dried pasta product made of the purest durum wheat and spring water – nothing else. 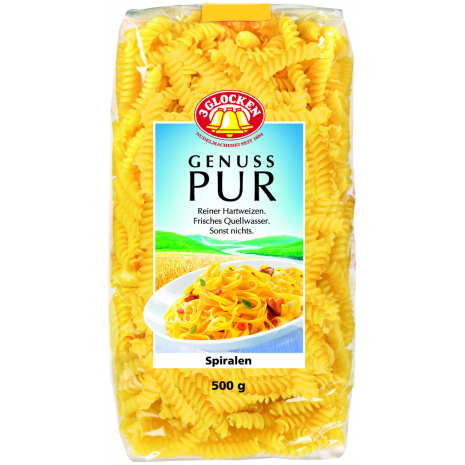 3 Glocken Genuss Pur Rotini are made with the purest durum wheat semolina and fresh spring water – nothing else. They are particularly good as a side dish for meats and fresh veggies, for dishes with lots of sauce or simply for a delicious noodle salad. 100% durum wheat semolina, spring water.